Below: Detail from the above picture, followed by a photograph taken in 2008. 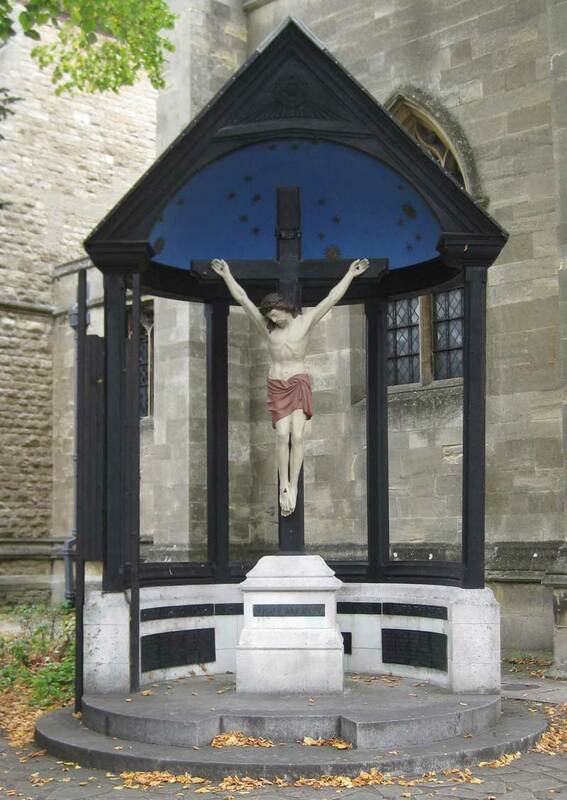 INRI (Iesus Nazarenus, Rex Iudaeorum) is nailed in wood over the cross, and on the plinth is another narrow strip of bronze with the words JESU MERCY. 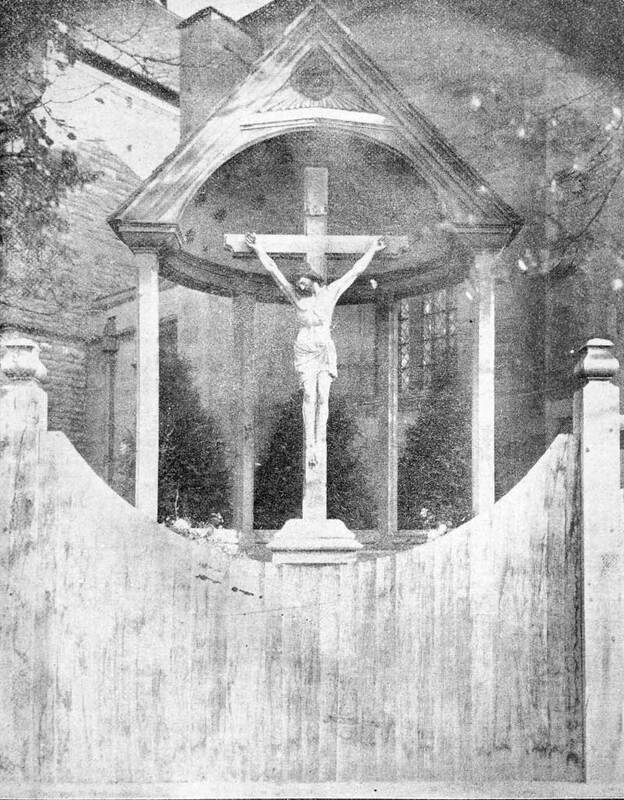 The memorial has a figure of Christ (two-thirds life-size) hanging on an oak cross and was patterned on the many shrines encountered by British troops in Flanders during the First World War, some of which were the only thing left standing amongst the ruins of war. The cast-iron figure of Jesus was made by Lucy’s Foundry in Jericho. Lucy’s took down and sandblasted the cast-iron figure of Christ in 1999, and it has been repainted twice since then. 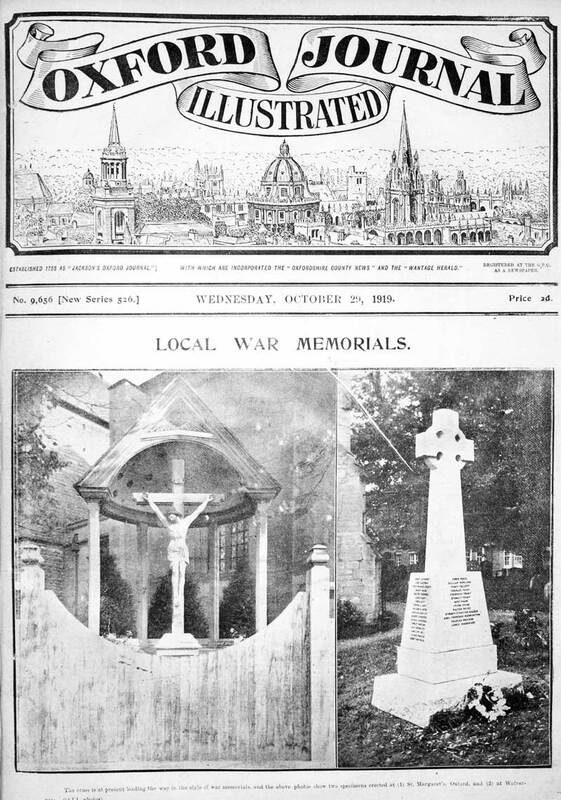 The memorial was given a Grade II listing in September 2007 on the basis that “standing … on the street corner it is an ever-present reminder of the servicemen’s sacrifice”. Death-watch beetle and rot has got into the base of the four pillars and semi-dome, which are made of oak, and the memorial is on the verge of collapse. It iss now propped up by scaffolding. 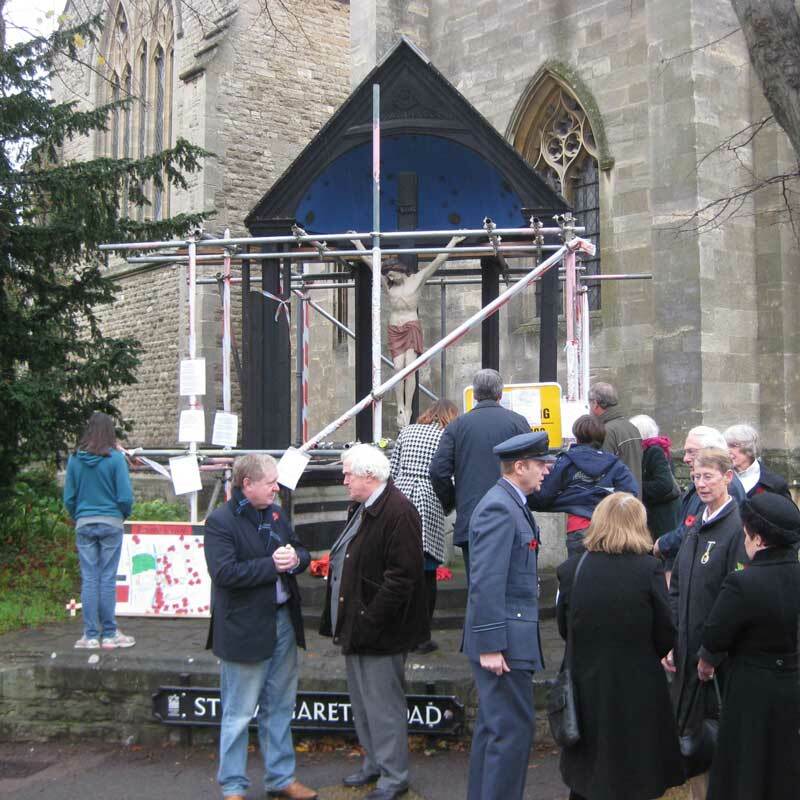 The picture below was taken on Remembrance Sunday 2010.